When it comes to music production, there are unique approaches and then there's Ash Koosha's. In order to comprehend his perspective, one first needs to understand how his brain works — Koosha has synaesthesia, a rare neurological anomaly that results in seeing sound as shapes and colours. While the causes are yet unknown, those who possess it seem to have a particularly notable impact on the music world — Stevie Wonder, Kanye West and Charli XCX are all synaesthetes, for example. Imagine simply recording with sound and suddenly being able to see it as colours and shapes, essentially allowing you to paint and build music, where others are limited to just playing it. This is how Koosha was able to craft I AKA I, one of the most interesting albums of recent years. He doesn't so much record music as he assembles it through a process he refers to as "finding geometry in sound." Beats and melodies are given a physical value and then used to furnish an imaginary space, which Koosha calls his "audio room." "Imagine the empty project in Logic is an audio room that you can decorate with these physical objects —that's how I treat the sound," Koosha explains. "I try to shape them and stretch them and make them work against each other within that room." The result is a record that's teeming with glitched-out structures that fracture and fold in on themselves, constantly shifting and ever-evolving. 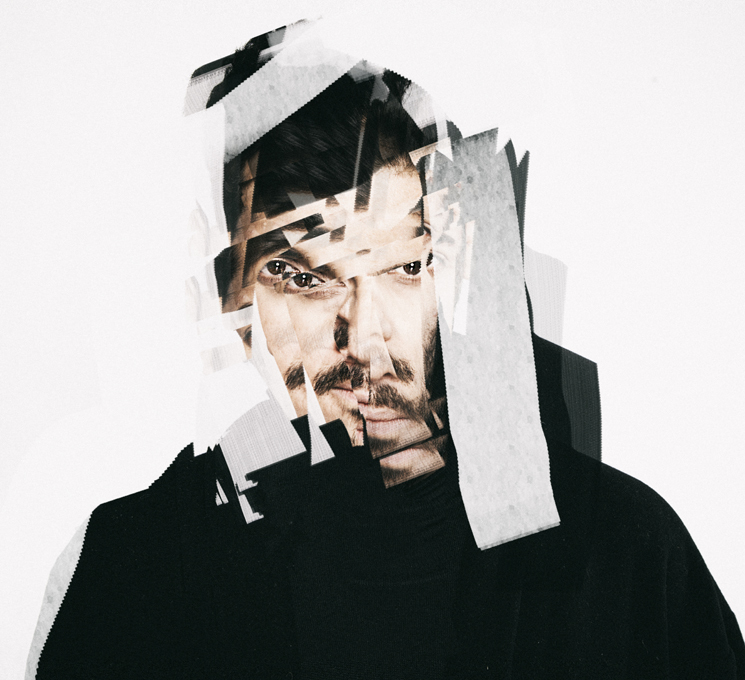 Trained at the Tehran Conservatory of Music in Iran, Koosha learned classical composition in his formative years, which helped him to "understand the beauty, the prettiness of how melody and harmony works," but ultimately showed him what not to do. "It kind of opens your mind, but if you solely study classical music and form and structure, that's going to close your mind," he says. "So I tried not to go fully into that area, tried not to be obedient to one structure or compositional form." In a sense, I AKA I is a revolt against the rigidity of classical music. Its boundless imagination is almost the antithesis of traditional musical values. Now, through digital music software and various media projects — Koosha is adapting I AKA I into a virtual reality experience, as well as directing his first feature film — his gaze is set firmly on the future. "I live in the next 50 years all the time. I'm wondering 'What's going to happen? What are we going to see?' and what I see myself is that we need to apply technology to ourselves, rather than developing it separately. Our brains are now a hybrid of human emotions and ever-present technology, they're intrinsically linked. So, hence I AKA I, the digital and the human: both different, but both me."